The traditional ring-throwing toy gets a new and modern look. The base rotates at 2 different speeds, challenging the child's attention every time. 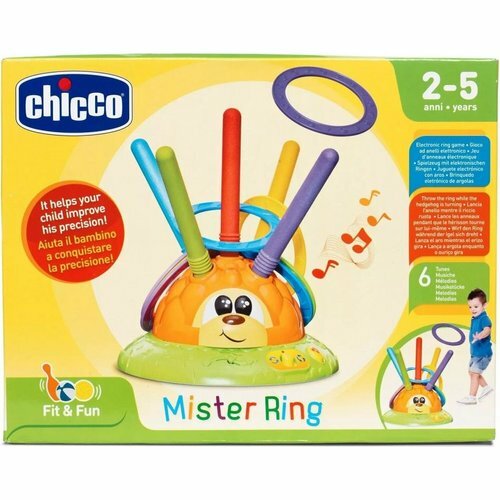 8 coloured rings made of lightweight plastic for playing indoors. 6 different melodies. 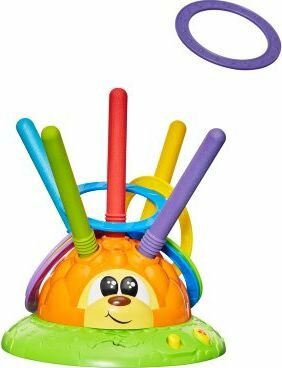 Stimulates manual coordination and fine motor skills.